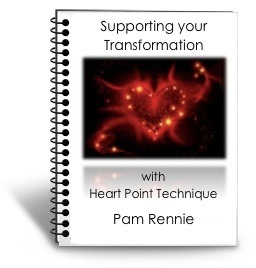 Experience a personal session with Heart Point Technique (HPT) Master, Integrated Energy Practitioner®, Alchemist and Channel Pam Rennie; a gifted mentor and way-shower. My passion is to assist you in remembering who you are, connect you with your soul’s purpose, awaken your Spiritual Gift’s and Be who you came here to be. With a team of Archangels, Ascended Masters, Lords of Light and Elohim as guides, as The Leahona I am, I assist you in releasing any limiting beliefs, stumbling blocks and confusions; accessing more clarity of purpose, more peace and more happy in your journey through your every day life. Do you feel that something is blocking your personal growth or progress, but don’t know exactly what or how to release it? “I had the most remarkable healing session with Pam Rennie. It was incredible. So much lightness of being. Pam is a healer of healers.” Andi S.
“The growth I have accomplished in working with you is miraculous. I am Blessed”. J. J. To schedule a session choose an option below and click on the highlighted session description. All payments made through PayPal (please note you do not have to have a PayPal account to use this service) I will contact you shortly after to schedule your day and time. Divine Guidance Messages~Choose this option if you are looking for answers and desire some clear guidance and inspiration. Session will be recorded. Specializing in: Mentoring Session Packages (for a period of regular support) are designed on an individual basis with personalized pricing and scheduling. Please contact me to discuss and determine your best option. *this is a great option if you are needing a bit of clarity, understanding and insight. With the energies of the New Era great transitions and much healing takes place even in a single session. For deeper issues and focused transformation several sessions may be most beneficial. Please feel free to contact me and discuss which option would be the most comfortable fit for you. Would you like to discuss which option would be the most comfortable fit for you. please feel free to contact me Thank you for allowing me the Blessings of supporting you in opening the door to YOUR Sacred Journey. *Please note, I will respect your time and understand that things happen so please allow 24 hours if you are needing to reschedule your session time. If you miss your session with no notice, I will take the time remaining and conduct a Distant Energy Healing for you. You will be sent a recording with session details.